The US has been boosting its military presence in the region and, according to an SDF spokesperson, the base is being used in an offensive against the remaining Daesh militants in eastern Syria. Xelil Şirvan, a commander of a group of Kurdish Peshmerga fighters, told Sputnik that a US military base had been detected near the town of Al-Qa'im in northwest Iraq on the border with Syria. "According to our data, the United States has set up a new military base in the strategically important region of Al-Qa'im in Anbar province on the Iraqi-Syrian border. Americans are building up [their] military presence in the region, which is why Iraqi government forces have sent more military reinforcements to Al-Qa'im to boost border protection," he said. 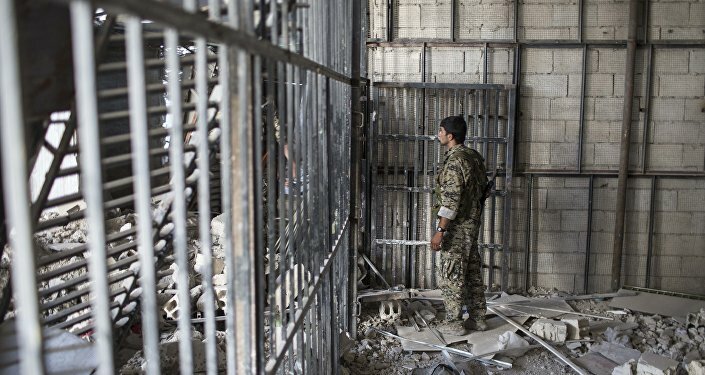 A spokesperson for the Syrian Democratic Forces, a Kurdish-led militant group, detailed that the new base was involved in an operation the SDF fighters launched earlier in the month against the last Daesh* stronghold in Hajin in eastern Syria. Al-Qa'im, an Iraqi town which lies near the strategic border crossing that links to the Syrian town of Abu Kamal, was retaken in the beginning of November last year; later the Iraqi military announced that it had restored control over the checkpoints on the border with Syria. *Daesh (aka Islamic State/ISIS/IS) is a terrorist group outlawed in Russia and many other countries.